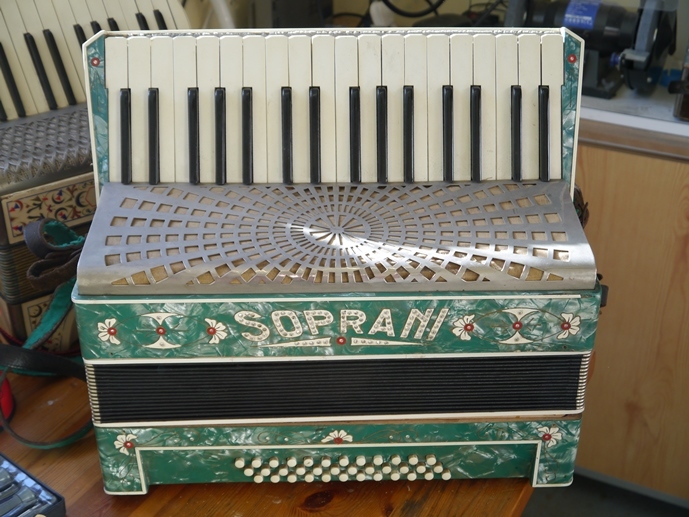 (sold..sorry) This falls into the category of a light piano accordion, with 34 keys and 36 basses (all 12 notes in the scale), and major and minor chords. I love the look of it too. The body is in good condition, as are the bellows, which is why I want to get it back to working condition. The reeds need completely removing, cleaning, re-valving and no doubt tuning.